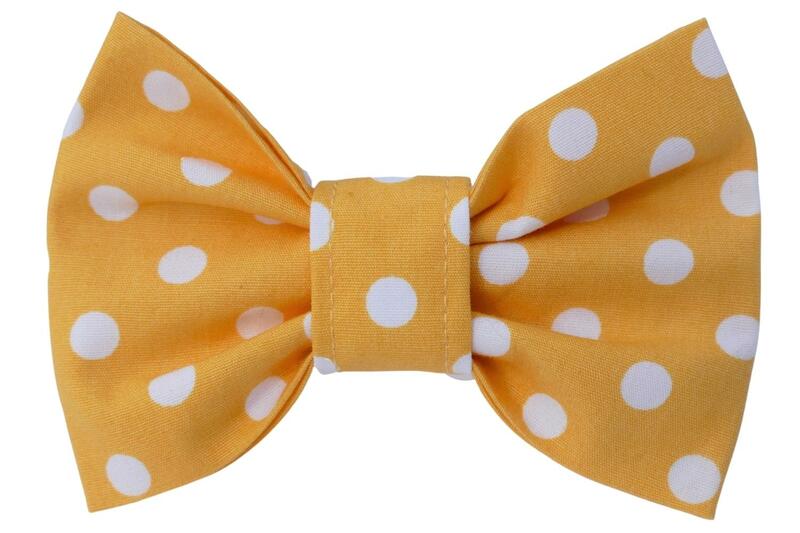 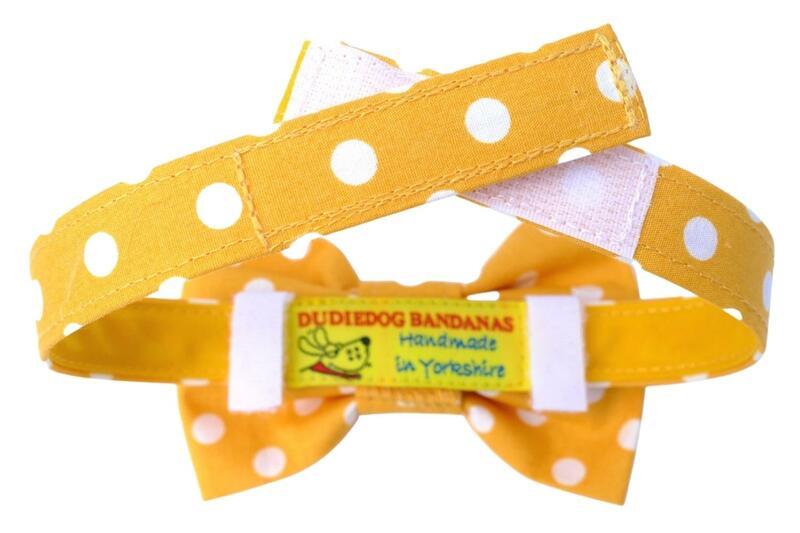 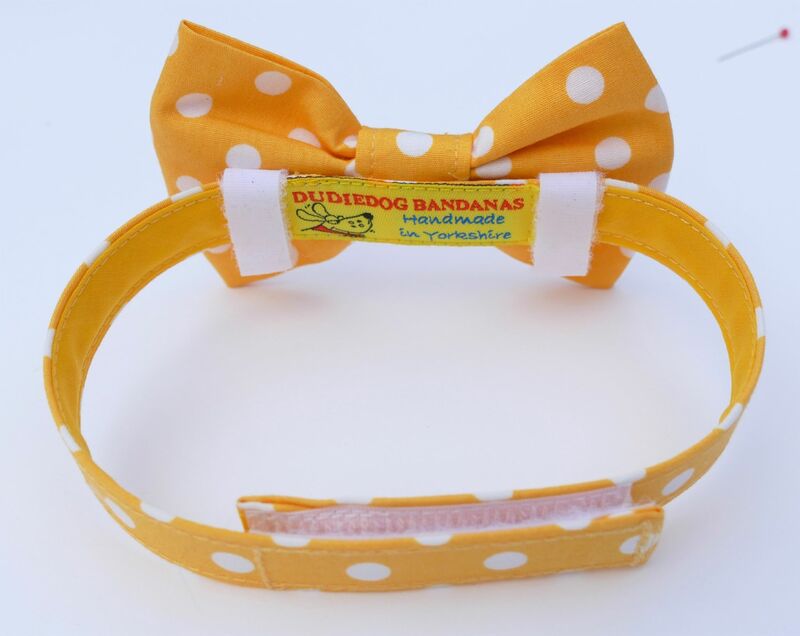 This is an ever popular design classic - the bright yellow polka dot Bow Tie! 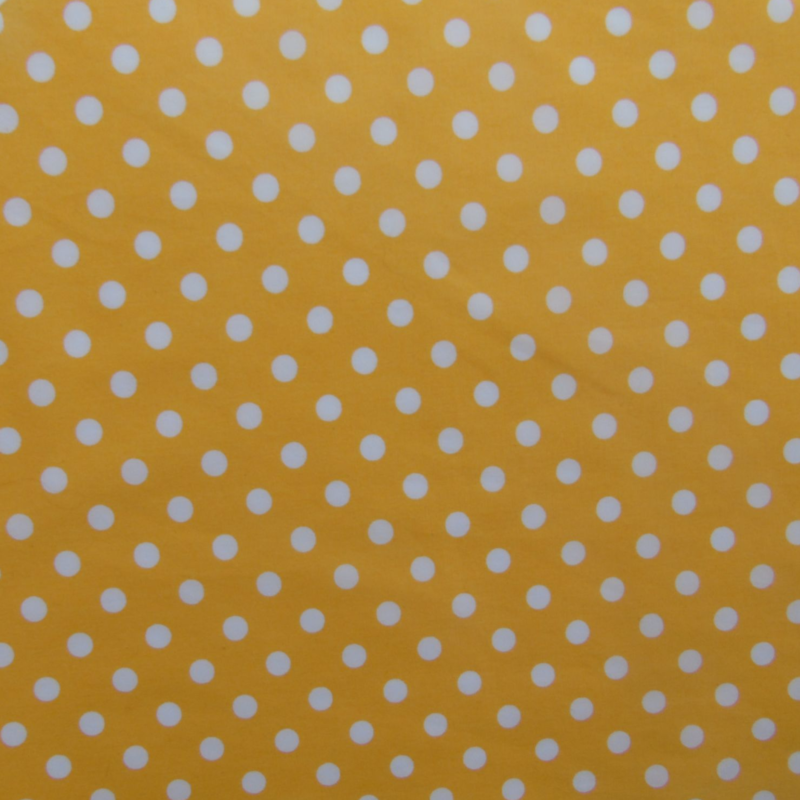 Spots never go out of fashion, and always look super stylish and classy. 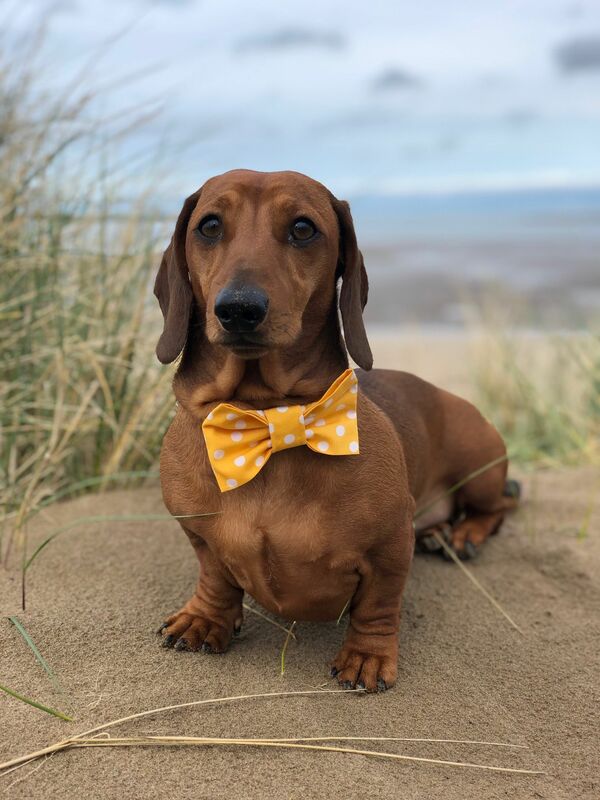 This 100% cotton Bow Tie looks fabulous on all dogs (You can also buy this design in royal blue and red).